AquaNew holds the exclusive world-wide license to manufacture non-medical consumable products using Polarized Water. Polarized Water is made by infusing Dioxytetrahydride Gas (a special 100% water-based gas) into ultra pure water. For more information on the patented WIT Technology, licensing of machines and testimonials on breathing the Gas, visit WaterIonTechnologies.com. Thunderstorms replenish the Earth with electrons (negative charges) that support life’s critical balance. Imagine capturing a thunderstorm in a bottle for ultimate health and energy. We are energy and health geeks who discovered Nature’s restorative energy drink. AquaNew’s Watt-Ahh® is the bold side of water. The crystalline-like structure of Watt-Ahh® contains a reservoir of electrons to defend against oxidative stress, premature aging and inflammation. What also surprised us is that Watt-Ahh® is refreshing, great tasting water. There are no sugars, caffeine or other additives. Watt-Ahh® is pure water – the way Nature intended. Watt-Ahh® – Capture the Imagination of Potential, and the Mind and Heart will Follow. It is difficult to unplug from our hectic world. We are exposed to unhealthy positive charges everyday – such as those we receive from cell phones, computers, air pollution and even the secondary effects of certain foods and prescribed drugs we consume. These can contribute to an imbalance within the body, what we call Oxidative Stress. Oxidative Stress is the source of inflammation, premature aging and disease. Negative charges or electrons offset these adverse effects. It is no coincidence that the central theme of AquaNew’s Watt-Ahh® is lightning, which is one of Nature’s generators of electrons – to restore and revive the World. The unique stable structure of ultra-pure Watt-Ahh® is rich in electrons that can minimize the adverse effects of Oxidative Stress. Watt-Ahh® has no comparison in the functional beverage world. AquaNew has discovered a new water purification process which allows our bodies to more readily absorb water into cells, resulting in complete hydration, detoxification, cellular communication, and support of the mitochondria (which maintain our own healing and immune systems). Mitochondria are the powerhouses within our cells that generate true natural energy. The mind can be tricked into feeling less fatigue for a short time when someone consumes a beverage with a high amount of caffeine that crosses the blood brain barrier. What we mean by "natural energy" is that Watt-Ahh® supports the mighty mitochondria within the cells for true innate energy. It re-energizes without the side effects of caffeine and sugar withdrawals. All of us desire to live healthy and active lives. As we age, the number one enemy is inflammation. We call it InflammAGING when the body’s natural ability to heal is blocked by a buildup of toxins and proteins on the nerve endings. Once inflammation is reduced, normal blood flow, joint movement, and organ function are restored and pain is alleviated. Our skin is also a barometer of good health. When inflammation is reduced; hydrated skin becomes smoother and more radiant. Our novel way of restructuring ultra-pure water makes the most beneficial form of hydrogen and oxygen accessible for our bodies to absorb, either by drinking or cleansing with the Water to promote optimum skin beauty. Doctors recommend post-treatment Watt-Ahh® hydration regimen for fat ablation therapies. Watt-Ahh® provides rejuvenation with superior hydration, detoxification, and energy, and reduces premature aging caused by inflammation. We confess to be Energy and Health Geeks! However, we have learned the most about the restorative benefits of Watt-Ahh® from our customers and professionals in healthcare. We encourage you to visit both the Testimonials and the Studies links. We welcome you to our website, which contains science, customer testimonials, frequently asked questions (FAQ), the blog, and a shopping cart for Watt-Ahh®. We appreciate your time in visiting this website and pursuing good health choices. For the most current information about the Watt-Ahh® Subscribe to our Free Weekly E-newsletter. 1-888-936-2782 (Monday - Friday, 8 a.m. to 6 p.m. (ET); closed on weekends and National holidays) or inquiries@AquaNew.com. After hours, you may call 1-863-332-2782 to leave a Google voice message and we will try to return your phone call the next business day. Our normal office hours are Monday–Friday, from 8 a.m. – 6 p.m. (ET), closed on weekends and National holidays. If we are unavailable to answer your call, our voicemail will pick up after the 5th ring. In order to better serve you, please leave your name, phone number and email address for general inquiries. 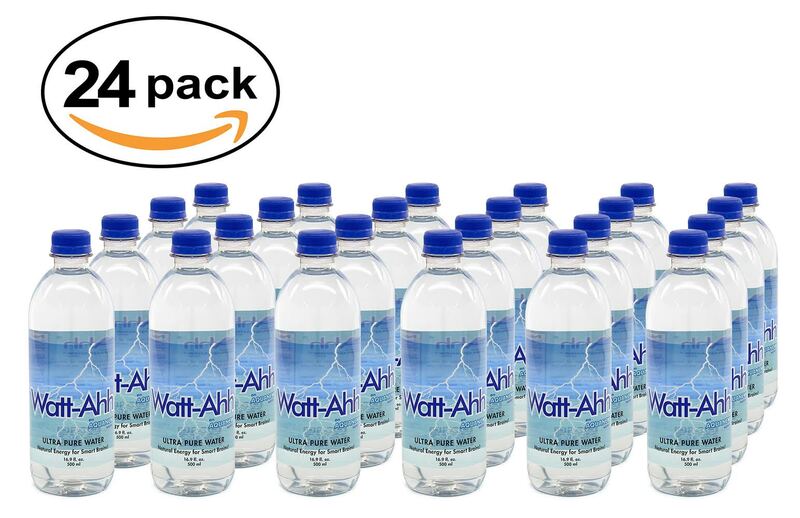 If you are re–ordering Watt-Ahh®, please also specify the number of cases or packs of either ½–liter (16.9 oz.) bottles or 1–liter (33.8 oz.) bottles you wish to purchase. We will confirm your order either by phone or email. Full pack or case of 24 ½–liter (16.9 oz.) bottles is $40/case. Full pack or case of 12 1–liter (33.8 oz.) bottles is $31/case. Please inquire about pallets (plus freight shipping cost). We also sell wholesale to vendors and affiliates. Prices vary at retail stores due to freight and handling costs. Packs or Cases of 24 ½–liter bottles and 12 1–liter bottles can be ordered and shipped from our online store. You may also call 1–888–936–2782 and we will be glad to take your order over the phone. 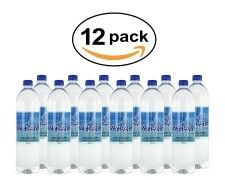 Multiple packs of bottles (12– or 24–bottle packs) can be shipped as freight on a pallet and are available to order. We also ship to our customers partial and full pallets of ½ and 1– liter bottles. To place an order, or to enquire about wholesale pricing, by becoming a vendor, please call 1–888–936–2782. More advanced scientific information on our discovery of Dioxytetrahydride Gas (a.k.a., SG Gas), the special gaseous form of water that is infused into ultra pure water to make the Polarized nature of Watt-Ahh®, is found by visiting WaterIonTechnologies.com. The support of our Watt-Ahh® customers has made it possible for AquaNew to give back to the Community. Please visit this link for more information.